A few weeks back my mom turned the big 6-0 and I wanted to do something spectacular for her. I began planning a surprise party with family and friends, complete with my sister even coming across the ocean from Victoria for the surprise. Planning a menu for 12+ people is hard and exciting enough but the real challenge is that my sister was diagnosed with celiac disease a few years back and is really sensitive to gluten, so this meal needed to be completely gluten free. I love the challenge of setting parameters when cooking. It allows me to try new things and find unique ways of preparing dishes with other ingredients, giving a completely unique experience with sometimes familiar recipes. The challenge for this meal was not just the gluten free aspect, but since I live in a smallish apartment my space and kitchen aren’t really set up to seat or feed more than four. Dishes are also an issue as I don’t really have settings for more than six. 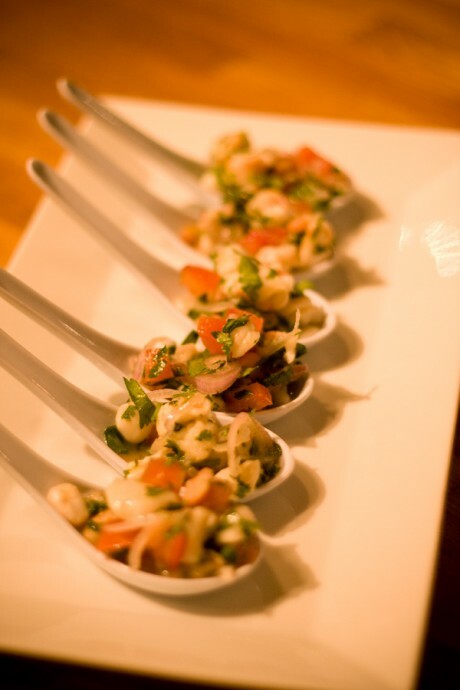 This meant that the birthday party would be a stand up/social event and I would restrict myself to tapas in the form of finger food whenever possible. 1. 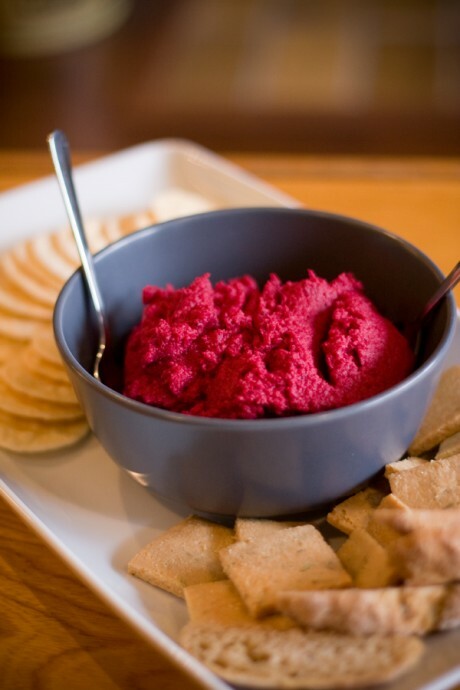 Beetroot dip accompanied by gluten free crackers for dipping. 2. 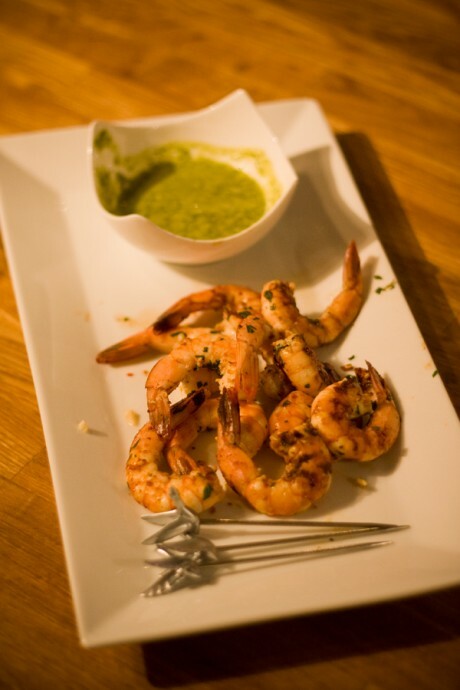 Tequila and lime prawns with a cilantro, tequila and lime dipping sauce. 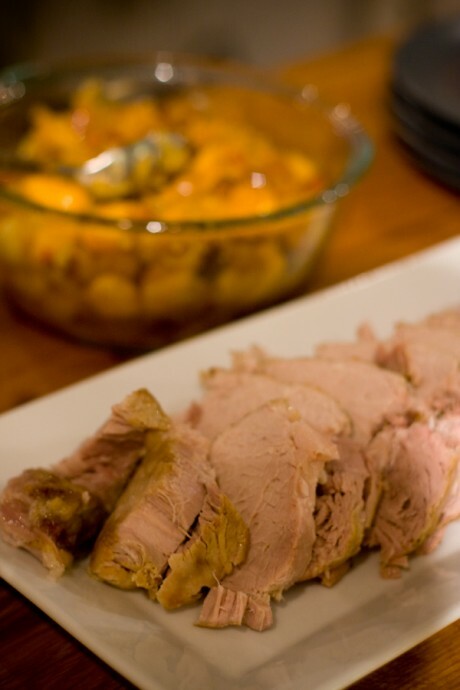 It was also quite easy to substitute certain ingredients to get the desired result. Below are a few of the recipes used to create the dishes shown above. Place steamer basket in small saucepan. Fill with water until just below steamer and bring to a boil. Add beets to saucepan, cover and steam until tender, 10 to 15 minutes. Remove beets from steamer and cool slightly. Grate beets and add to food processor along with chickpeas, garlic, olive oil, salt, coriander, cumin, lemon zest, lemon juice and tahini. Blend until smooth. If dip is too thick, thin with warm water. Season to taste with pepper and lemon juice. Transfer to serving dish and garnish with toasted sesame seeds and parsley. 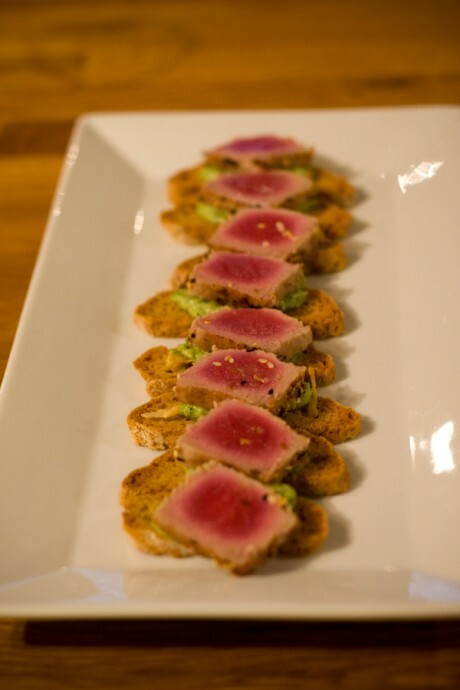 Serve with your favourite crackers, cheese and olives. Preheat oven to 400 F (200 C). In large pot, cover beans with water and bring to boil. Add onion, bay leaf and sprinkle with pepper. Simmer 40 minutes until cooked, strain and discard onion and bay leaf. On a baking sheet sprinkle tomatoes with salt, pepper and splash of olive oil then roast in oven for 15 minutes. Blanch asparagus in boiling salted water until tender, strain and cut into bite-sized pieces. 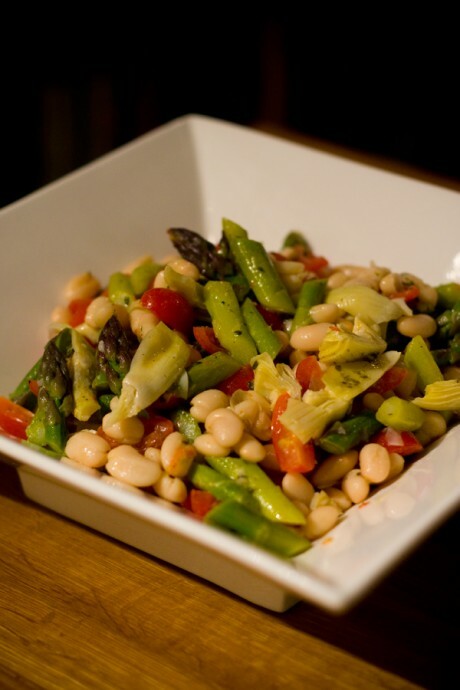 Combine remaining ingredients with beans, asparagus and tomatoes. 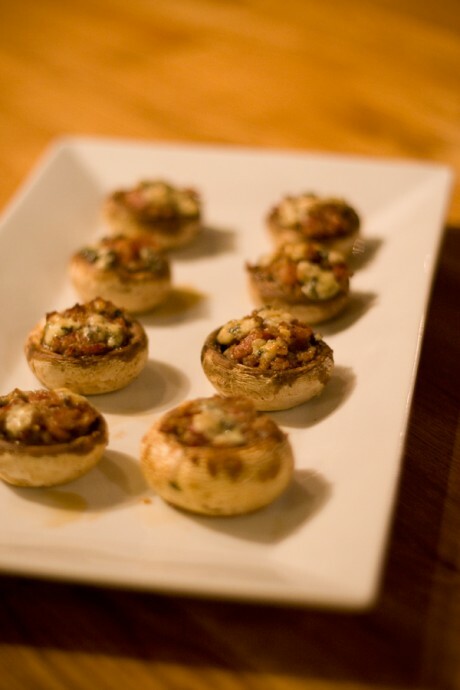 Season to taste and serve at room temperature. Stir chutney ingredients together in a large saucepan over medium heat. Bring to a boil, reduce heat to a simmer and cook slightly covered, stirring frequently, until thickened, about 45min. Serve with pork. 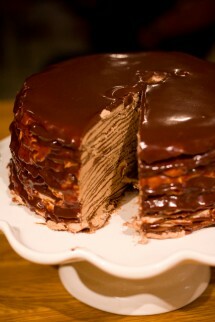 ?- Chocolate hazelnut crepe cake. Great menu Tyler! I’m curious about the chocolate hazelnut crepe cake. Is the only ‘flour’ in the crepes from hazelnuts? That’s amazing! 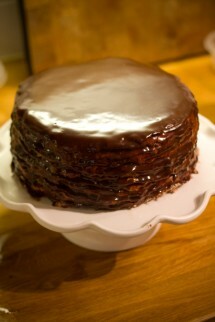 I’m trying to go as gluten free as possible, and that cake looks amazing!